The SBMM model, engineered by Pneuflex, is a male tee intended for pneumatic and hydraulic installations. Moreover, it features three male ports at two 90° angles. 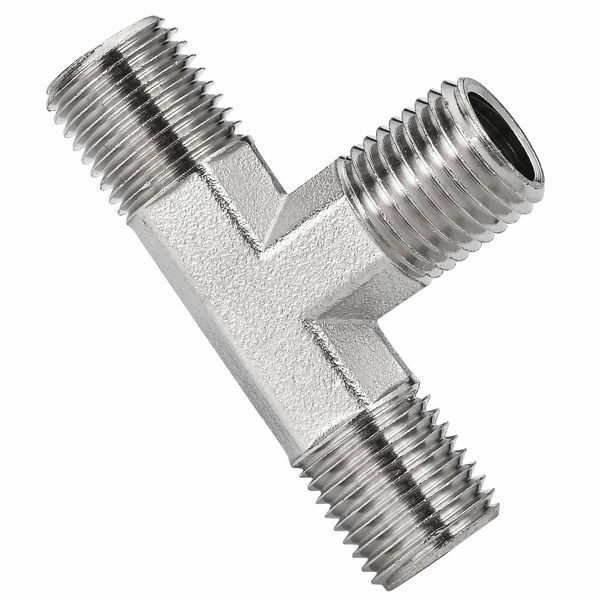 Male branch tee brass pipe fittings is made of nickel-plated brass for corrosion resistance, ductility at high tempereatures, and low magnetic permeability. Brass pipe fittings are components used for connecting, terminating, controlling flow, and changing the direction of piping in many different industries. Typically used in water, grease, fuels, LP and natural gas, refrigeration, instrumentation and low pressure systems. Accommodate thread sizes ranging from 1/8" to 1".